Today, we take online shopping for granted. But if we pay heed to it, it all looks like magic in comparison to the traditional shopping. You visit your favorite store – Amazon, eBay, Flipkart, etc. 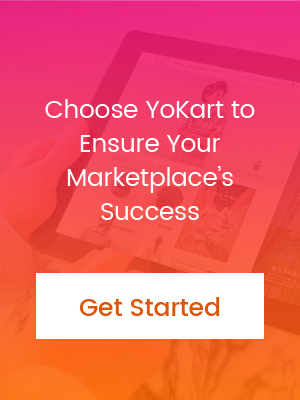 – explore inventory of thousands of products, select a product, make payment, checkout, and your order is shipped at your doorstep after some time. It all has become so easy for us customers. However, there is a lot that goes behind these ecommerce marketplaces that make this whole process run so smoothly. From managing inventory to optimizing the website itself, there are several components that ecommerce marketplace owners need to keep a constant check on. Even if one of them does not work properly, even for a short period, the whole system can fall apart – resulting into annoyed customers & loss of a lot of business. 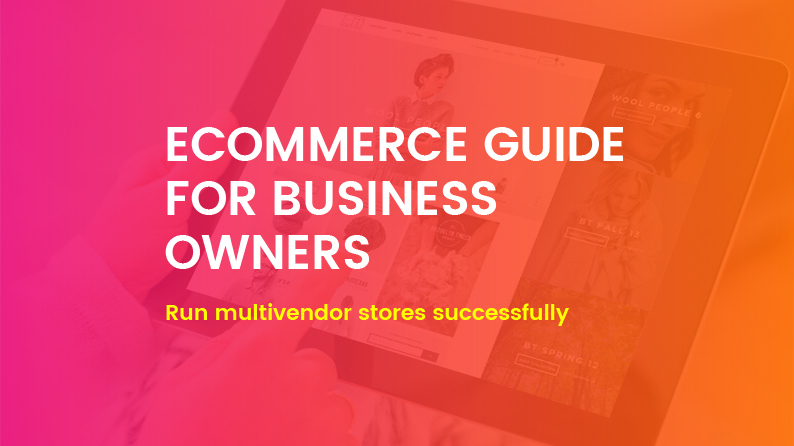 By understanding how each and every component of a multivendor store works, aspiring entrepreneurs looking to launch an ecommerce marketplace can easily ensure that all their customers see is the magic happening on the website. This guide covers each and every aspect of a multivendor store allowing anyone to organize their own marketplace. Before we move ahead, let us quickly look at various benefits with multivendor store for the business owner, sellers, and consumers. Having multiple vendors means that the site owner can offer a larger variety of products to the customers. It also helps in increasing traffic to the store and reduces store management time. The biggest benefits come from the fact that multivendor store owners do not have to keep inventory and can just do drop-shipping. They can act as a moderator for suppliers instead being a supplier themselves. Sellers don’t have to go through the stress of opening a new store themselves and worry about generating traffic for the website. Small sellers prefer multivendor stores where it is easy to sell their products rather than having their own online single vendor store, as they can take advantage of existing site traffic to get better visibility. The biggest beneficiary of a multivendor store is probably the consumers who get more variety at a single place. Rather than going to multiple website of sellers, consumers get everything under a single roof. Having endless options and a centralized system of purchasing also offers flexibility and builds trust in people. There are some clear benefits of having a multivendor store, but launching a multivendor store has its own fair share of challenges. But those who overcome these challenges surely enjoy the success. Ensuring quality control so that no fraudulent sales happen on your website and the customers are happy with sellers. There challenges are just the tip of the iceberg, but taking care of them will definitely ensure smooth flow. For better management of a multivendor store, take a look at the following best practices. Rather than depending upon sellers to upload pictures, specifications and descriptions of the product, it is always a better choice to have a catalog maintained by yourself, in order to keep things tidy. This ensures that the information available on your website is high quality, which implicitly makes your website consumer friendly. A multivendor store having ample ratings and reviews automatically become a preferred choice of customers; for the obvious reasons that it allows them to make more informed purchase decision. Therefore, it is highly recommended that you encourage customers to leave reviews & ratings on your online marketplace. This in turn will not only catapult the sales but will also turn customers in the biggest sales persons of your ecommerce store. The main revenue stream of multivendor stores is the commission charge from vendors on each sale. This fee is usually a percentage of a vendor’s sales and varies from category to category. When determining a seller fee, it might be good to look at what other multi-vendor stores charge and offer a slightly better deal to the sellers. Managing orders in the right manner is the key to keep your store organized. Usually store owners keep track of all the order placed on the website, however, they can also let sellers acknowledge and process the order under the stipulated time so that there are no delays. When it comes to drop shipping, usually the website owner takes the responsibility of handling the logistics. However, there can be cases where the sellers themselves ship the product directly to the consumers. Even in that case, store owners must keep a track of the progress & also keep customers in the loop. Another thing to keep in mind is not putting the shipping cost on to the customer. Free shipping is what makes most of the consumers prefer one online store over another. Processing each payment as soon as the order comes in is not always efficient, as most of your time will be spent in keeping track of the payments only. You can either use a payment schedule where you process the payments in bulk every 15 days, which will also allow sellers to know when they are getting paid. Or you can use a platform that automatically sends payments to vendors when an order is processed. The market for multivendor ecommerce store is growing substantially as consumers are starting to prefer multivendor store over single vendor stores. Launching and running a multivendor store is highly lucrative business model. However one must keep all the basics, as discussed in this post, in mind, in order to ensure success. Looking for a high-end, feature-rich multivendor store builder? You mention using “a platform that automatically sends payments to vendors when an order is processed.” but you don’t name such a platform, which is what I am looking for. Can you tell me where to look? I am setting up a charity website so donors can send contributions to several charities and pay with one click. I need a way to automatically send the money to the different vendors. how? This type of payment transfers are possible when you have integrated a payment gateway which offers “Split Payments” on your website. Some of the popular payments gateways which offer split payments are PayPal and Stripe. Incase, you are looking for an experienced company which can help you create a charity website- which supports split payment, we will be happy to serve you.